He is my youngest in age but wise beyond his years. He's an old soul. 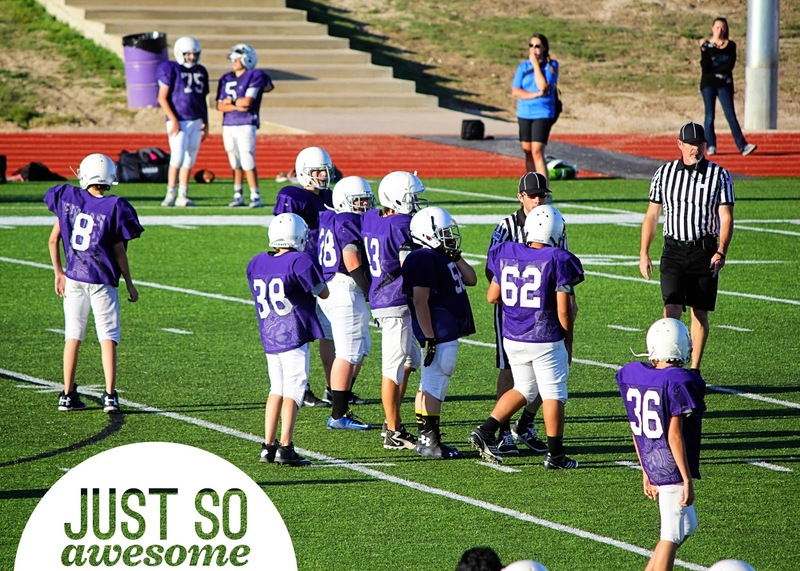 He is the smallest on the football field yet has the biggest heart. This is your year to grow, I tell him. One moment he is arguing with his brother then in the next moment laughing and making jokes. Saturday mornings? That's our time. He will bring his laptop and come crawl in bed with me. We watch the Food Network while he plays on his computer and I check emails on mine. This boy? He is picky about what clothes he wears. Name brands don't matter. He just wants the softest tshirt he can find. Holes or no holes, he doesn't care. It's all about how soft it is. Being your Momma is just so awesome. YOU are just so awesome. The photo in this post was taken with my Canon Rebel T3i with a Canon EF 75-300mm f/4-5.6 lens. T he digital stamp I have used on my photo is from Ali Edwards Digital Brush set: Half Circle Sentiments No. 1. You can purchase it here.